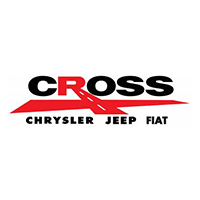 At Cross Chrysler Jeep Fiat we specialize in Unique and Hard to Find Vehicles. All of our Used Cars are Priced Competitively for No-Haggle, Hassle Free Buying. We Offer the Best Selection of Used Wranglers and Grand Cherokee’s in the U.S and We ship Worldwide. *Cross Chrysler Jeep Fiat will contact you shortly to verify parameters of holding unit. View Cross Chrysler Jeep Fiat’s Selection of Pre Owned Vehicles of all makes including Jeep, Ram, Chevrolet’s, and more! BACK LOT SPECIAL! 100% AS-IS, No Inspection, No WARRANTY, NO GUARANTEE! Only offered for 10 days! Local Trade In .. Like new Tires, Cold A/C. BACK LOT SPECIAL! 100% AS-IS, No Inspection, No WARRANTY, NO GUARANTEE! Only offered for 10 days! 4.0L Inline 6 .. 5 Speed Manual Transmission .. Runs and Drives Great .. Detail Only ..
BACK LOT SPECIAL! 100% AS-IS, No Inspection, No WARRANTY, NO GUARANTEE! Only offered for 10 days! JK Sport .. 6 Speed Manual ..
High Altitude Edition .. Heated LEATHER .. ONE OWNER .. Power MOONROOF .. Security and Cargo Convenience Group .. 17 Inch Granite Finish Wheels .. Remote Start .. 430 Touch Screen Radio .. 5 Year 60k mile WARRANTY ..
One Owner .. Latitude .. Navigation System w/ 8.4 Inch Full Color Touchscreen Display .. 17 Inch Aluminum Wheels .. Voice Command w/ Bluetooth .. Rear Backup Camera .. LED Daytime Running Lights .. 2.4L w/ 9 Speed Automatic .. 5 Year / 60K Mile Warranty! Local Trade In .. NEW TIRES .. Power Driver Seat .. Voice Command with Bluetooth .. 5 Inch Touch Screen .. Bright Side Roof Rails .. Real Wheel Drive .. Performing Mechanical Inspection and Detail!!! One Owner .. Local Trade In .. 4 Brand New Tires .. Latitude .. 4WD .. 3.2L V6 .. Cold Weather Group w/ Heated Front Seats, Heated Steering Wheel, Remote Start, Windshield Wiper De-Icer, and Engine Block Heater .. Multimedia Package w/ 8.4 Inch Full Color Display .. 17 Inch Aluminum Wheels .. Rear Backup Camera .. LED Daytime Running Lights .. Jeep Active Drive I 4WD .. Bluetooth Connectivity w/ Voice Command .. 5 Year / 60K Mile Warranty! One Owner .. New Car Trade In .. Latitude .. Cold Weather Group w/ Heated Front Seats and Steering Wheel .. Passive Entry w/ Push Button .. Factory Remote Start .. 17 Inch Aluminum Wheels .. Beats Premium Audio .. Backup Camera .. Bluetooth Connectivity .. 7 Inch Touchscreen Radio w/ Apple CarPlay and Google Android Auto Capabilities .. 2.4L w/ 9 Speed Automatic .. 5 Year / 60K Mile Warranty! Local Repeat Customer Trade In .. ALTITUDE Edition!! Heated Premium Bucket Seats .. Safety and Convenience Group with Blind Spot Monitoring and Alpine Premium Stereo .. Back Up Camera .. Bluetooth .. 18 Inch Black Wheels .. Remote Start .. Active Drive 4wd .. 5 Year 60k mile WARRANTY ..
Local Trade In .. 4WD .. 4 Brand New Tires Just Installed .. Replaced the Rear Brake Pads and Rotors .. 17 Inch Aluminum Wheels .. Voice Command w/ Bluetooth .. 5 Inch Touchscreen Radio .. Push Button Start .. Trailer Tow Hitch ..
Local New Wrangler Trade In .. Unlimited Sahara .. 2 Inch Spacer Lift w/ Fox Shocks .. Painted 3 Piece Hard Top .. Heated Leather Seats .. Navigation System w/ 6.5 Inch Touchscreen Display .. Bluetooth Connectivity .. Steel Rear and Front Bumpers .. XRC Winch .. Infinity Sound System .. Mechanical Inspection and Detail ..
Below Auction Value!! One Owner.. Laredo.. 4wd.. Bluetooth.. Back Up Camera.. 17 Inch Wheels.. LED Tail Lights.. Touch Screen Radio.. ALL Power Options.. 5 Year 60k mile WARRANTY!! Fresh Out of Our Company Fleet!! LATITUDE!! 4wd .. Popular Equipment Group with 17 Inch Premium Wheels .. Deep Tint Glass .. 7 Inch Touch Screen Radio .. Back Up Camera .. Bluetooth .. 5 Year 60k mile WARRANTY ..
Local New Wrangler Trade In .. Unlimited Sport .. Power Windows and Door Locks .. 430 Touch Screen Radio .. Factory Tow Package .. Factory Running Boards .. Bluetooth Connectivity .. Like New Michelin Tires .. Just Replaced the Rear Brake Pads and Both Front Axle Seals ..
Local Trade In .. Rust Free LJ Rubicon .. Hard Top .. 4.0L Inline 6 Cylinder .. 16 Inch Aluminum Wheels .. 4:1 Rock-Trac HD 4WD System .. Tru-Lok Front and Rear Locking Differentials .. Dana 44 HD Front and Rear Axles .. 4:11 Rear Axle Ratio .. 4 Speed Automatic .. Premium Sound Package with 7 Speakers .. Performing Mechanical Inspection and Detail!!! One Owner .. Local Trade In .. Limited w/ Luxury Group II .. Leather Seats w/ Perforated Inserts .. Ventilated and Heated Front Buckets .. Dual Pane Panoramic Sunroof .. Navigation System w/ Full Color Touchscreen Display .. 20 Inch Aluminum Wheels .. Bi Xenon HID Headlamps w/ LED Daytime Running Lights .. Leather Wrapped Heated Steering Wheel w/ Power Tilt / Telescoping Feature .. Rear Backup Camera and Parking Sensors .. Alpine Premium Sound Package w/ 506 Watt Amp .. Remote Start .. Voice Command w/ Bluetooth .. Keyless Enter-N-Go (Proximity Entry) w/ Push Button Start .. 5 Year / 100K Warranty! Just in from Our Company Fleet .. Latitude 4wd .. Advanced Safety and Lighting Group .. Safety and Security Group with Blind Spot Monitor and Lane Departure Warning .. Popular Eq. Group with 7 Inch Touch Screen Radio .. Power Lift-Gate .. 18 Inch Premium Wheels .. 5 Year 60k mile WARRANTY ..
Fresh out of Our Company Fleet!! LIMITED .. Auto Temp Control .. Heated Steering Wheel .. Heated LEATHER Bucket Seats .. 18 Inch Wheels .. Remote Start .. Blind Spot Monitor .. Bluetooth .. Back Up Camera .. 8.4 Inch Touch Screen Radio .. 5 Year 100k mile WARRANTY ..
8.4 Inch Touch Screen with Backup Camera .. Leather Heated Front and Second Row Seats .. Voice Command with Bluetooth .. Rear Parking Sensors .. Heated Steering Wheel .. Power Tailgate .. Performing Mechanical Inspection and Detail!!! One Owner .. Lease Turn In .. 75th Anniversary Edition .. 18 Inch Bronze Aluminum Wheels .. Bronze Badging and Front Tow Hooks .. Multimedia Package with 8.4 Inch Full Color Display .. Heated Front Bucket Seats and Leather Wrapped Steering Wheel .. Backup Camera and Park Assist .. 8 Way Power Driver Seat with 4 Way Power Lumbar Adjustment .. Voice Command with Bluetooth .. 5 Year / 60K Mile Warranty! New vehicle pricing includes all offers and incentives. Tax, Title and Tags not included in vehicle prices shown and must be paid by the purchaser. While great effort is made to ensure the accuracy of the information on this site, errors do occur so please verify information with a customer service rep. This is easily done by calling us at (866) 747-1624 or by visiting us at the dealership.